Q&A › Category: General Help › Hello Collectors! Hello collectors! My grandson is showing an interest in stamp collecting. How should I get him started? That’s awesome! It’s always good to hear about young people interested in the hobby. What are his passions? Introduce him to topical collecting. 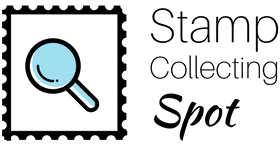 Put together (or purchase) a stamp collecting kit that includes the essentials – album, hinges/mounts, magnifier, tongs, a catalog (like Mystic’s, which is complimentary and has color images), and of course, stamps. Those are just some suggestions that come to mind right now – hopefully they are useful. Good luck! My interest came from visiting Post Offices. Some Postmasters will offer a tour if asked in advance. What country are you from Andrew? If you live in the UK you could always take your Grandson along to your local W H Smith store; they still sell packets of thematic stamps nicely presented in packets to view in-store. They also have a good selection of affordable albums, stock cards, stamp hinges etc well suited to a beginner! Another option is to view one of the many websites on-line. There are many collectors out there who have created their own website to show off collections and to share references and information. Youtube has some useful videos uploaded by keen collectors.